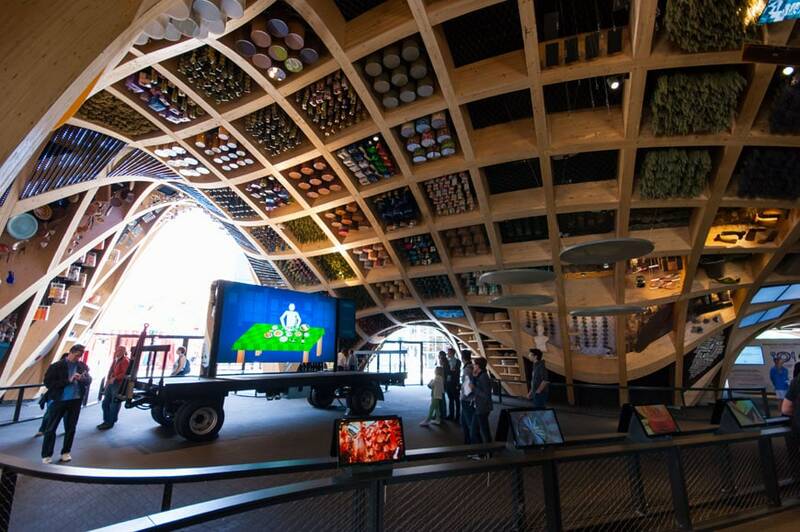 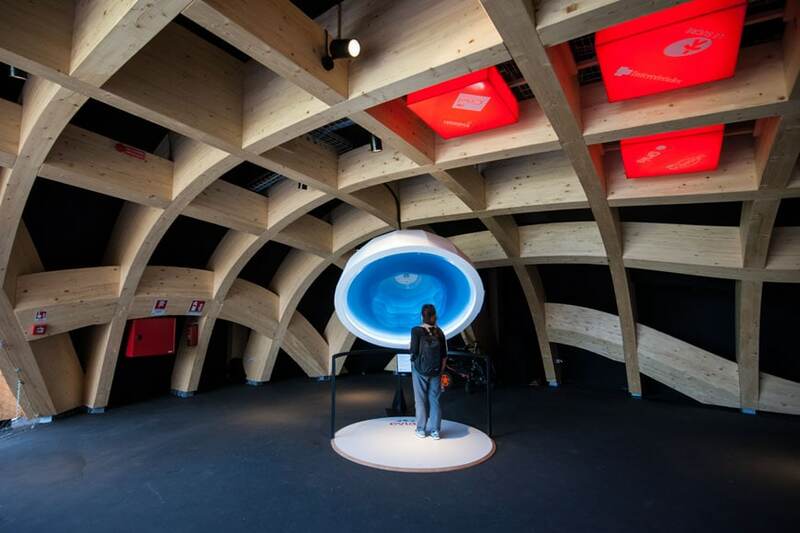 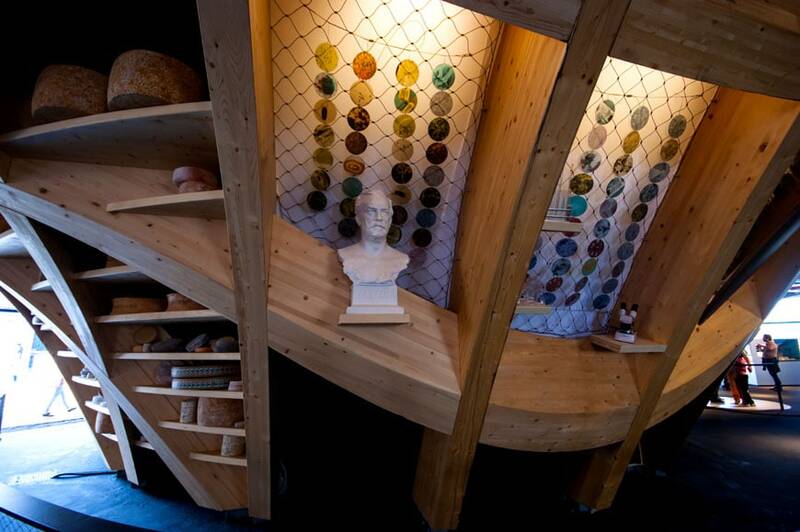 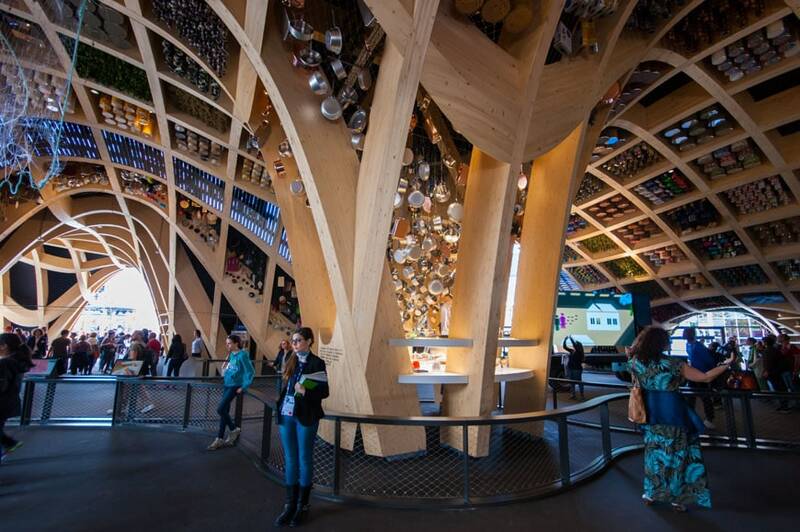 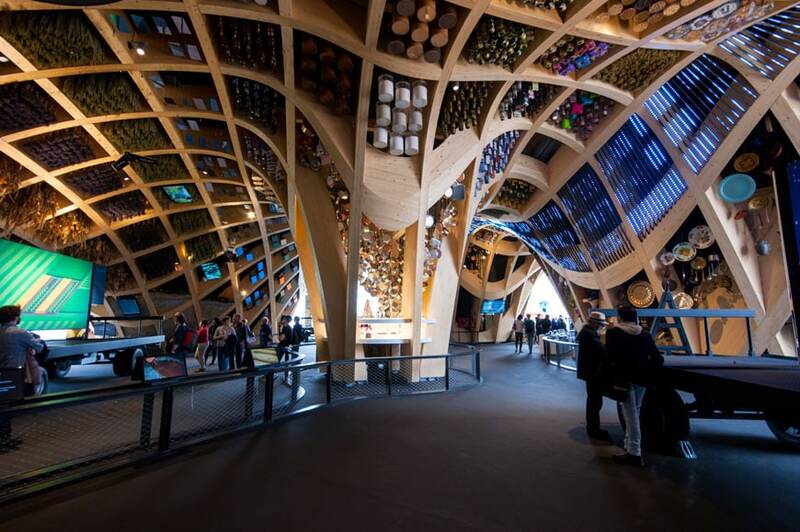 The pavilion of France at EXPO 2015 is a fluid space, without any barrier separating the outside from the inside, which invites the visitors to wander around freely, while casting a glimpse to the hundreds cooking utensils, food products, ingredients, audiovisuals and images, suspended to the wavy timber frame that forms the pavilion’s structure. 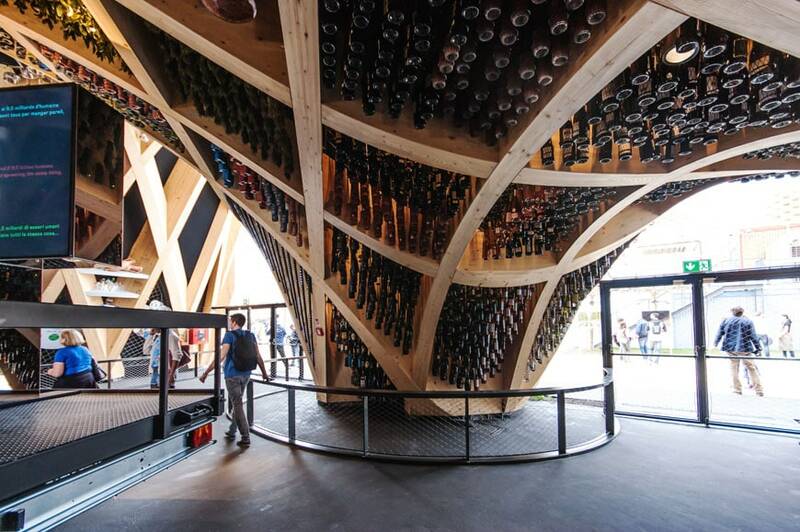 On a 3,600 square-meter floor area, the French site at Expo is constituted by both an open-air cultivated surface and a covered pavilion, which respectively resemble the hilly countryside and the traditional covered markets typical of France. 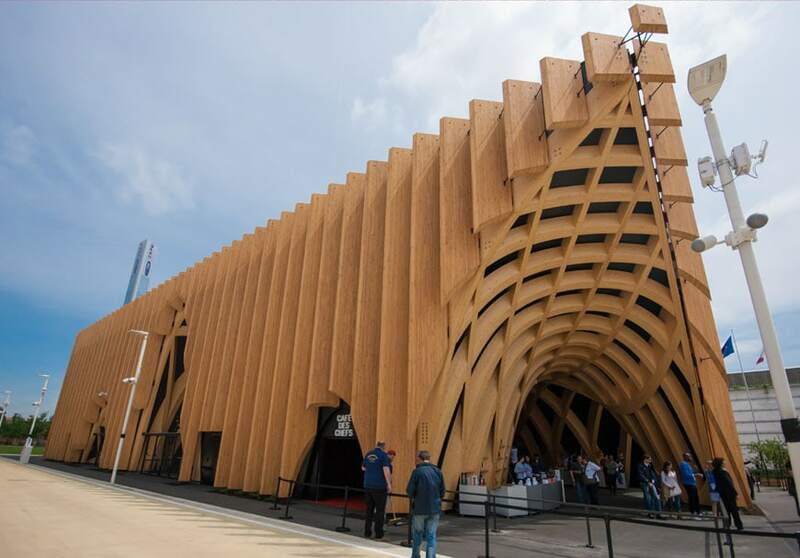 Designed by a team composed by X-TU, Anouk Legendre + Nicolas Desmazière and ALN Atelien architectes, the French pavilion has been conceived like a human built landscape, and it is aimed to summarize the environmental diversity, the various agricultural productions and the culinary richness of France. 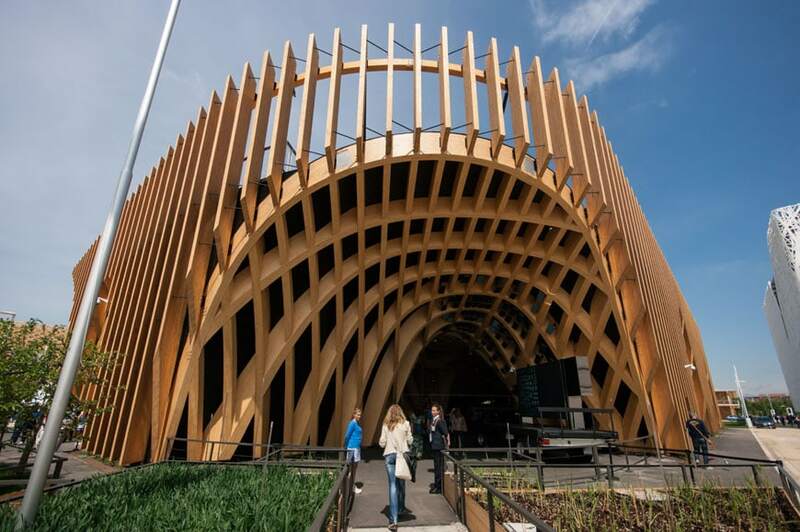 The pavilion’s design adopts various low-carbon building solutions: it is almost entirely made in sustainable timber from the Jura region, it can be completely disassembled and re-built in a different location, furthermore its domed shape provides a natural ventilation and passive cooling. 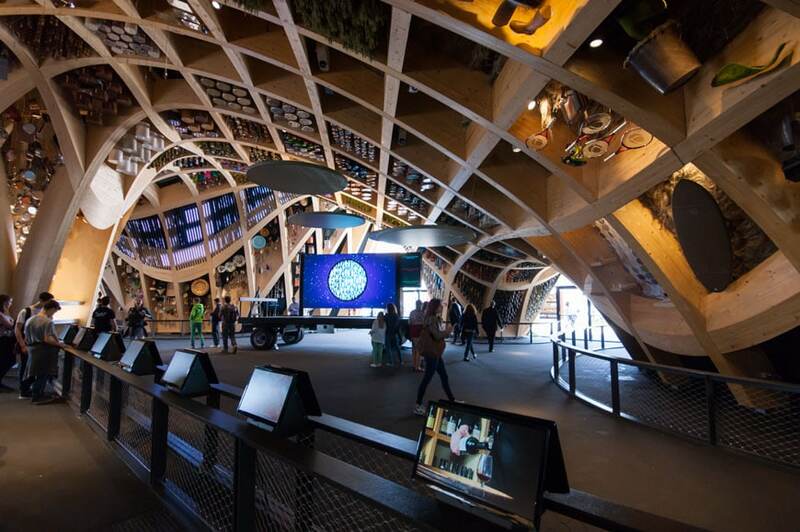 The core exhibition housed in the pavilion, conceived by Studio Adeline Rispal, focuses on the French culinary culture, on its scientific research, on the products of its land as well as on its cultivation techniques, all presented through real objects, which physical presence provides a surprising and captivating effect. 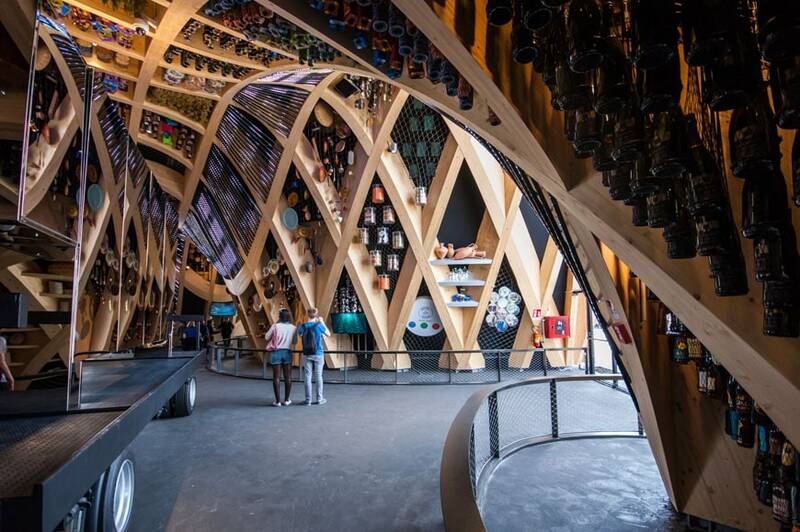 Along with the exhibition, the pavilion includes a performance area, a cafeteria, an educational space and a “boulangerie-patisserie”, that offers an interesting selection of freshly-baked products.